A board-certified neurologist who has published more than 150 articles and chapters on basic and clinical research, Dr. Schmechel received his bachelor’s degree with honors in Chemistry from Yale College in New Haven, CT and his medical degree with honors in Neurobiology from Harvard Medical School in Boston, MA. He completed a medical internship at Duke University Medical Center in Durham, NC and served for four years in the U.S. Public Health Service researching brain neurochemistry at National Institutes of Health in Bethesda, MD. Dr. Schmechel then returned to clinical training, completing a residency in Adult Neurology at Duke and a fellowship in Geriatrics at Durham VA Medical Center. 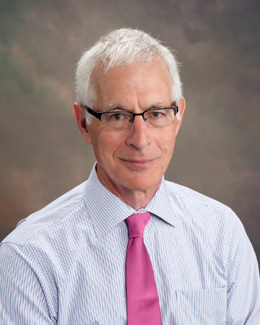 Dr. Schmechel was a professor of Medicine at Duke from 1984 to 2007, serving as Chief of Neurology at the Durham VA Medical Center and director of the Joseph and Kathleen Bryan Alzheimer’s Disease Research Center. He performed basic science and clinical research and was part of the team that discovered the Alzheimer’s risk gene, apolipoprotein E (APOE). After 28 years at Duke, he started a regional memory center in the Foothills of North Carolina where he practiced for the last five years. He comes to West Columbia, SC to be near his family. Dr. Schmechel specializes in the evaluation, monitoring, prevention and treatment of cognitive disorders as well as specific categories of general neurology. He has expertise in Alzheimer’s disease, Parkinson’s disease, early and late onset dementia, inflammatory disease of the nervous system, genetics and evaluation of attention deficit disorder, post-traumatic stress disorder, affective disorders, fibromyalgia/chronic fatigue and stroke risk assessment and prevention. Dr. Schmechel also sees select patients with epilepsy, migraine or sleep disorders. In addition, he focuses on the genetic analysis and aggressive treatment of these conditions and uses computer-assisted cognitive testing where indicated for monitoring treatment response. Dr. Schmechel is a diplomate of the American Board of Psychiatry and Neurology, and is certified in advanced cardiac life support. He is also a member of the American Academy of Neurology.